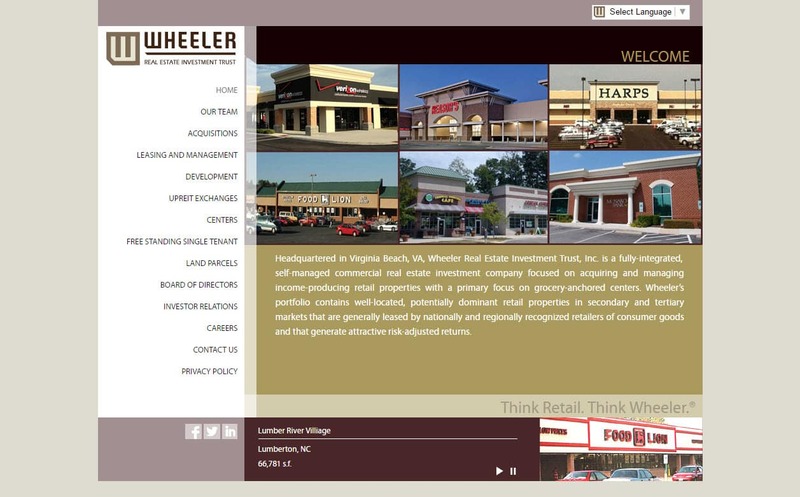 >Website design for REIT companies | Wheeler Real Estate is a custom website design for a well known real estate investment trust doing business throughout the U.S. was built using Word Press and features property lead generation. The website is also mobile ready and responsive. When searching Web site designers Virginia Beach look no further than the web design experts at VISIONEFX. info@visionefx.net. VISIONEFX also has excellent Google Reviews posted on Google My Business pages.